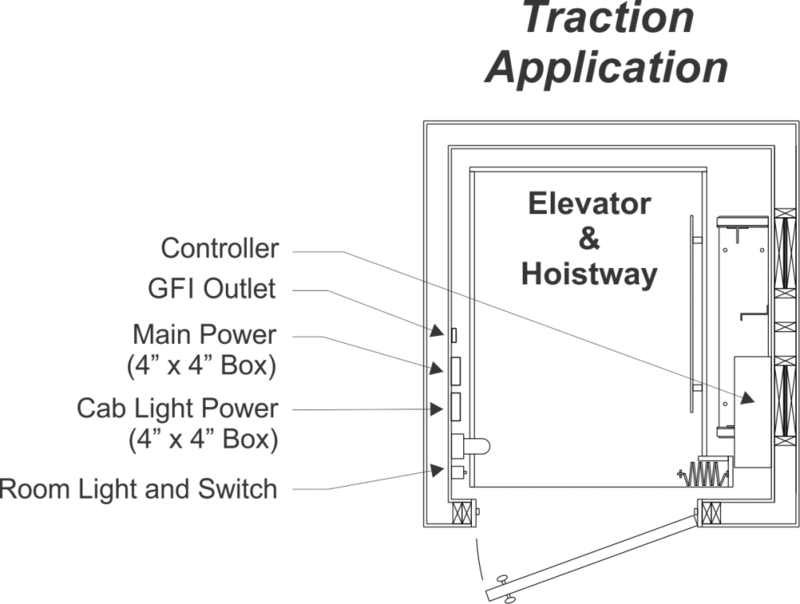 Each home elevator requires five (5) items from your Electrician and Telecommunications Contractor(s). One (1) Fixture (with a protective cover over bulb) with a wall switch. One (1) Live Land Based Phone Line with Pigtail (10′-0″ Min.) per code. PLEASE BE ADVISED THAT POWER ON THE 240 VAC LINE MUST BE A 10-3 WIRE WITH A GROUND AND INSURE THERE IS A DEDICATED NEUTRAL TO THE UNIT. 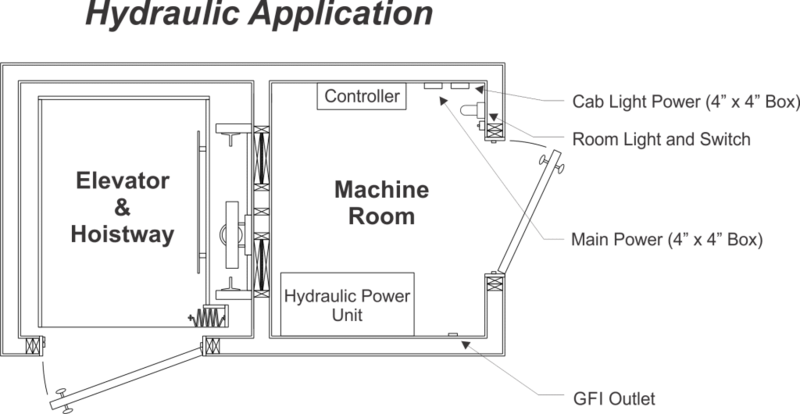 Explanation: The 240 VAC feed should have a black, red, white, and ground wire coming to the machine room All electrical contractors will have a full knowledge of this requirement. Simply ensure they are aware of the requirement. Black and red are powered with 120 VAC, each totaling 240 VAC. White is neutral. Ground to ground standard.